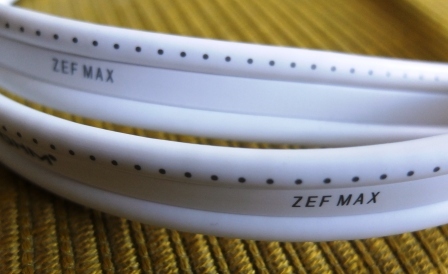 During the last expo in Munich, ATOHM revealed a new cable: the ZEF MAX. A few days ago, I installed this new cable on one of my systems. It is a high-performance product at a very egalitarian price that easily rivals, without blinking, products that are sold at prices that it would be indecent to mention here. 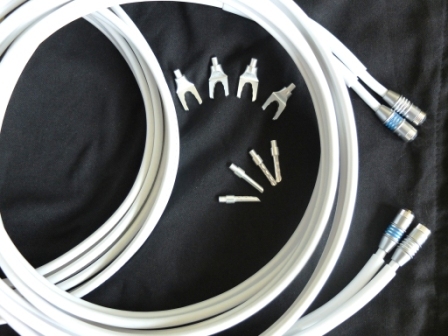 The cable builds on the technology and materials that were responsible for the success of the “ZEF” series, which was developed by the ATOHM, a company from the Franche-Comté region. It consists of 6 centrally located wires made of UP-OCC copper (each wire is composed of a single ultra pure unidirectional copper crystal) encircled by peripheral wires made from UC-OFC copper (ultra-cast silver-coated OF copper), which each consist of approximately 310 filaments. The exterior is surrounded by FEP fluoropolymer insulation (made by extrusion under controlled atmospheric conditions) and a flexible white PVC sheath, which results in a look that is simple, discrete, and rather elegant. 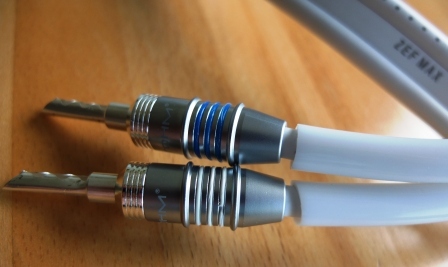 The cable comes with ATOHM WT-STU connectors. One end of the connector’s body is fixed to the cable by means of two set screws; a banana plug or fork connector is attached to the other end. Finally, a clever little accessory is included: the “splitter” is a plastic sleeve that helps avoid any accidental splitting of the PVC sheath while the cable is being handled. Moreover, this “splitter” offers an elegant finishing touch to the product. ATOHM sells this cable at the very competitive price of 45 € per meter or as part of a complete kit (ZEF MAX SET). The kit consists of 2 x 3 meters of ZEF MAX cable assembled with WT-STU connectors and SPLITTER-M sleeves wrapped up in an elegant black cloth box and is available for the price of 440 €. This product is intended to offer a signal that is as authentic and realistic as possible, by aiming for a large degree of neutrality while trying to minimize distortions as much as possible. With this high-end product, ATOHM has sought to remain maximally faithful to the sound, particularly by striving for excellent conductivity on a very large bandwidth in order to preserve the signal’s purity and to prevent all forms of distortions tied to electrostatic charges. What I hear The listening experience is gripping. The general transparency remains very convincing, the playback is dynamic and open, and the details of the music emerge clearly but are not exaggerated by any effects. Far from being artificially flattering, and armed with a handsome degree of transparency, these ZEF MAX cables result in a playback in which the music’s most miniscule nuances and subtle variations are rendered without any alternations or additions. The audio image is rich without being overexposed, is natural; the general transparency generates a musical flow that is surprisingly open and free. Even if the cable’s aims are different, it rivals without difficulty one of my presently preferred cables: le super maxi-trans II (although it highlights timbres in a most remarkable way). If the price holds, it is clear that there will be very few serious competitors. It cannot be denied that this cable will superbly serve the most demanding electronics and speakers thanks to its exceptional neutrality. For less refined ears, it is helpful to point out that the cable’s little brother, the ZEF SPEAKER, is available for 30 € per meter. 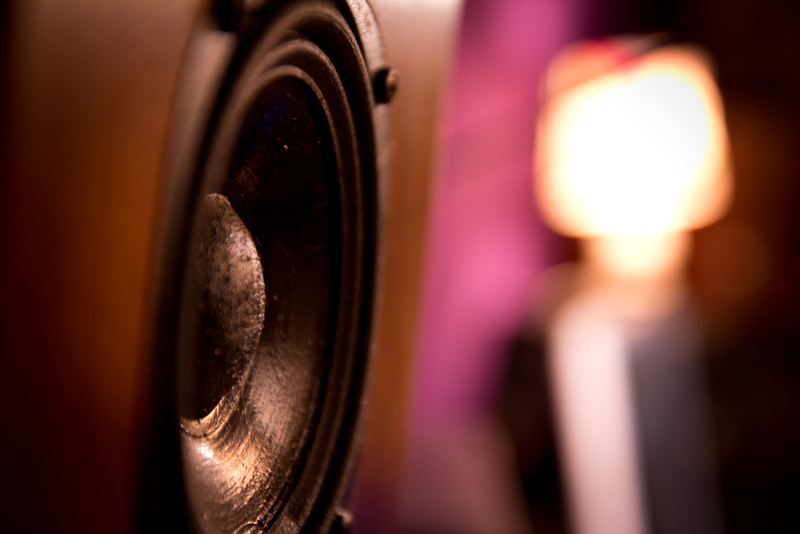 It constitutes a beautiful way to escape from the jungle of speaker cables for those who want to seriously equip themselves without having to worry about paying top dollar. This entry was posted on 25/06/2013 by Aublanc in Accessories, Untitled and tagged amplifier, atohm, atohm cables, atohm zef max, audio equipment france, cables, cables atohm, FRENCH HIFI, french loudspeakers, french stereo equipment, french stereo system, hi-fi Frankreich, hifi francés, hifi frankreich, hifi french brands, high end audio, high end audio france, impianto Hi-Fi, stereo equipment France, stereo system, stereo system France, Stereoanlage Frankreich, zef max.